Rent Cisco's | Corporate Events | Wedding Locations, Event Spaces and Party Venues. 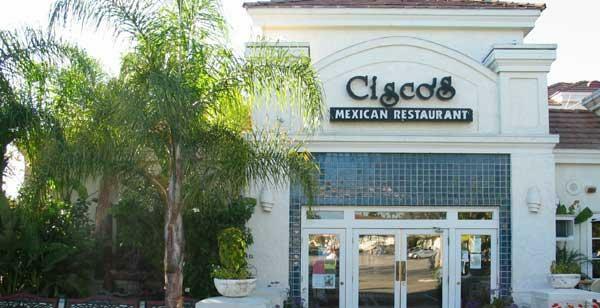 Cisco’s Restaurants in Thousand Oaks and Westlake Village is much more than a Mexican Restaurant and Bar. We try to make each visit a memorable one! Come celebrate a birthday with us! Come check out our gorgeous Champagne Sunday Brunch Buffet complete with bottomless mimosas, live oysters and more choices than you have room for! Our chefs and bartenders bring the authentic flavors of Mexico to life in every entrée and drink we serve. Cisco’s is Thousand Oaks and Westlake Village’s unrivaled Happy Hour hot spot! Every day at Cisco's we host the best of what is HOT in sports too! NFL RETURNS... Every Game, Every Week right here with Vacations Giveawways and FREE appetizer parties! Plus Margarita Monday's, Tacos & Trivia Night, Seasonal Ticket Giveaways , Craft Beer & Carnitas deals Thursday's, Fun Friday Happy Hour, Baja Weekends and Sunday Funday Brunch Buffet! With our friendly staff, handmade margaritas, flavorful tacos, and up to 28 giant flat screen TVs you may never want to go home. Cisco’s caters straight to you or offers beautiful in-house private and semi-private rooms. We take care of all the details so that you can focus on your event. Be a guest at your own party. Booking your event at one of our locations? We can help you make your celebration a breeze! Book your Reception, Rehearsal Dinner, Anniversary, Birthday or Holiday Party today!